Are women inferior to men? Angela Saini looks to modern science to answer this age-old question. 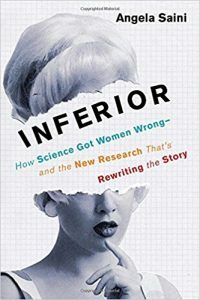 In her book, Inferior: How Science Got Women Wrong-and the New Research That’s Rewriting the Story, readers can uncover the truth. However, this question still lingers in science and the answer you receive will often depend on who you ask. Why? “The problem is that answers in science aren’t everything they seem…We think the scientific method can’t be biased or loaded against women. But we’re wrong,” Saini explains in her introduction. This sets the stage for the following eight chapters in her book. Although Inferior heavily centers on scientific research, Saini delivers the information in an easy-to-understand format. Often she presents facts and hypotheses without spelling out her bias. “This is simply an account of the science and its controversies as they stand now, chronicling the bitter scientific struggle for the heart and soul of women,” Saini adds. My favorite theme that runs throughout Inferior focuses on the history of women. The accounts of many of them fascinated me, such as Caroline Kennard, who in 1881 challenged Charles Darwin’s theory that women were essentially less evolved than men, and Somalian-born Hibo Wardere, a modern-day activist who authored Cut: One Woman’s Fight Against FGM in Britain Today. Saini also details the life of !Kung bushwomen in southern Africa, the Hadza people in Tanzania, and the Efe people in Congo. I enjoyed learning about the lives of women without the barriers of time or location. In every chapter of this book, Saini relays both older scientific theories and more modern, updated theories. Some theories of old will likely make you laugh, such as the mating habits of fruit flies. Others are quite horrifying and riddled with sexism. Motherhood comprises just one aspect of the many theories Saini discusses. Everything from relative brain size to hormones to female illnesses and mortality rates makes their appearance in this book. With the incorporation of so many educated opinions, you may very well find yourself agreeing with some theories and disagreeing with others. Me – I rarely disagreed with the author. The array of beliefs makes for a rather engaging reading experience. 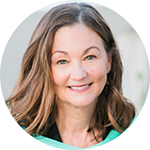 As Saini reflects on her book in the Afterword, “I just wanted to better understand the biological story about myself and other women.” Perhaps this is what makes her book so compelling. Whether you decide to read Inferior for its groundbreaking scientific research or its outline of women’s history, there’s no denying this truth written by Saini: “The cloudy window of the past has so distorted how we see society that we find it hard to imagine it another way. This is why science matters for every one of us.” I couldn’t agree more.